Established in 1994, IndusInd Bank can is one of the youngest banks functional in India. It is a new-generation private bank, based in Mumbai, which has already expanded well to set up more than 1000 branches all over the country. IndusInd Bank offers a top class Customer Care Service to their valued customers. Whether it is an issue regarding your credit card or a simple banking query, you can expect the Customer Care Department of IndusInd bank to help you out and clarify all doubts. Here are a few means through which you could reach out to them. General Helpline: You can call on 1860 500 5004 to reach the toll-free Customer Care. The Customer Care representatives can help you with your credit card queries. Email: Send an email to reachus@indusind.com for all your queries about your credit card. 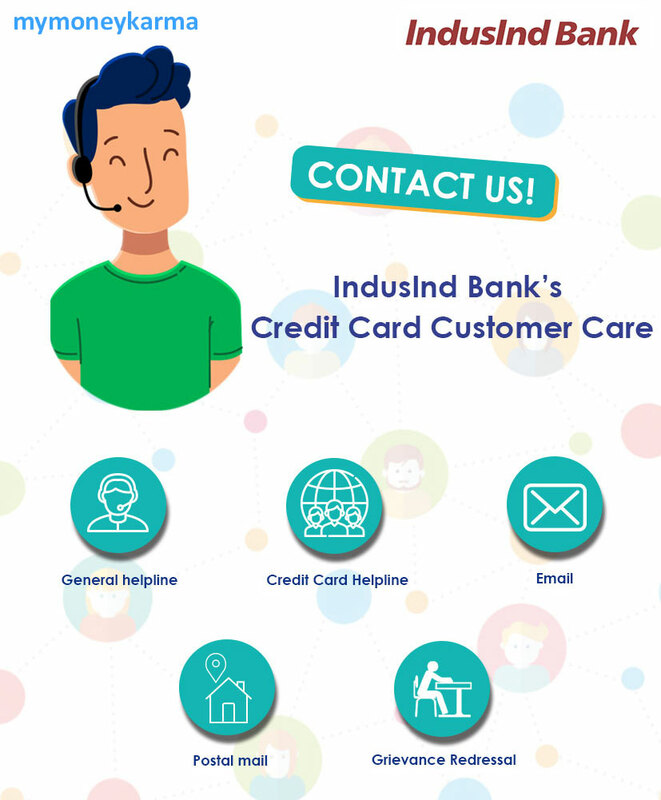 Credit Card Helpline: IndusInd Bank has dedicated credit card customer care for specific cards. Following are the ways to reach the customer care for each. For Indulge Credit Cards, dial 18602677777 or +91-22-42207777 from your registered mobile number, or write to indulge.care@indusind.com. For Priority range cards like Pinnacle Credit Card or Legend Credit Card orSignature Credit Card or IndusInd Bank Jet Airways Odyssey Credit card or World Miles Signature Credit Card, call on 18602677777 or+91-22-42207777 or send an email to priority.care@indusind.com. Visit the branch and use the complaint register to contact the Branch Manager. Usually, they take seven working days to resolve the issue. In case they need more time, you will be notified. If you don't get a solution by 30 working days, contact the Banking Ombudsman appointed by the RBI. You can find the salient features of RBI's Banking Ombudsman Scheme displayed on the notice boards of each branch as well as on the bank's website. You can also browse through to www.rbi.org.in for details.